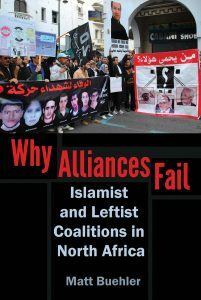 The Arab uprisings of 2011 radically reshaped the environment within which Islamist movements had evolved over the preceding decades, causing rapid, disorienting changes in their strategies, ideologies, and organizations. The last three years have produced an enormous amount of new information about these movements: detailed election results; factional and generational and intra-Islamist rivalries spilling out into public; varying degrees of political polarization between Islamists and their rivals; the erratic performance of Egypt’s Muslim Brotherhood after coming to power through elections and the fallout from its removal through popular protest and military coup; the emergence of a sharp public backlash against the Brotherhood in Egypt, at least, and a crackdown on its social services; a new regionwide campaign designating the Brotherhood as a terrorist organization; the surprising evolution of al Qaeda and jihadist movements from Syria and Iraq through North Africa. 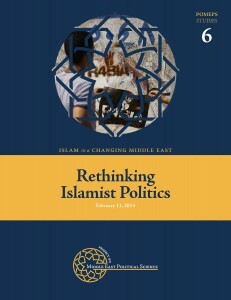 In January 2014, the Project on Middle East Political Science therefore convened a workshop with fifteen leading academic specialists on Islamist movements in the Arab Middle East and charged them with rethinking key assumptions, arguments, evidence and research programs in light of these three tumultuous years. The workshop brought together European and American academics with specialties ranging from mainstream movements such as the Muslim Brotherhood to jihadists and non-violent Salafists, and with expertise on countries ranging from the Gulf through Egypt and the Levant to North Africa. This special POMEPS Briefing collects the memos prepared for the workshop. The short essays collected here touch on many of these issues, pointing towards a rich set of compelling new theoretical and empirical questions with which the field must now grapple. Some of the memos push back against the notion that this is the time for a major rethinking. Many key developments remain cloaked in shadow, with very incomplete information amidst a thick haze of propaganda, rumor, and politicized narratives. Even more, some scholars worry that the valuable progress made over the previous decade will be lost to a hasty, premature abandonment of accumulated knowledge. After all, Egypt specialists accurately estimated the Muslim Brotherhood’s political base as measured by its electoral performance, and anticipated its political performance in power by observing internal changes (as described by Carrie Rosefsky Wickham and Khalil al-Anani) leading to “the dominance of the conservative faction within the Brotherhood [which] adopted a rigid worldview and wasn’t able to adjust to the new environment after Hosni Mubarak’s downfall.” As Tarek Masoud argues: “Instead of rethinking political Islam, we may wonder if political Islam is the right thing to be thinking about at all right now. … Instead of fretting over what Islamists do, say, and believe, we should instead direct our attentions to the broader social, economic, and structural factors that have rendered much of the Arab world … stunningly bereft of the prospects for democratic, representative, and accountable government.” But still, most accept that at least some of the developments of the last few years do pose significant challenges to prevailing theories. Many of the scholars here emphasize the importance of grasping the variety of Islamist movements and organizations across many different countries and contexts. They generally resist any effort to impute a singular identity or essential essence to such movements. Islamists in Yemen and Egypt and Tunisia may share some organizational forms, ideological aspirations, and political language, but they also can behave in strikingly different ways. As Carrie Rosefsky Wickham argues, this “heterogeneity makes any grand generalizations about the broader purposes of Islamist groups, as well as their internal dynamics, operational strategies, and immediate goals, problematic at best and nonsensical at worst.” Wickham emphasizes how much has been revealed about “the nature of internal factions, the (shifting) balance of power among them, and the issues of ideology, strategy, and group practice.” This emphasis on internal factions, internal tactical and ideological battles, and generational divides is a far cry from the popular depiction of the Muslim Brotherhood as an extremely disciplined, hierarchical totalitarian organization. The participants warn in particular against overly generalizing based on the Egyptian case. As important and central as Egypt is to the Islamist universe, it is not necessarily typical of similar movements elsewhere. Stacey Philbrick Yadav argues powerfully against “an overreliance on Egypt as a focal point in understanding Islamism … which has led scholars to speculate about the possible future trajectories of Islamism in other contexts on the basis of the Brotherhood’s experience, an experience that has been driven by a range of factors that are more or less generalizable outside of Egypt.” How did Tunisia’s Ennahda do so well in its elections despite having been repressed for decades and without the sorts of social services supposedly so crucial to Egypt’s Muslim Brotherhood? Why did Morocco’s Party for Justice and Development (PJD) accept a share of governing power while other movements opted to remain outside the system? What about Jordan’s Muslim Brotherhood, Yemen’s al-Islah or Islamists across the Gulf? These questions go to the heart of methodological debates about how to study these movements and where to focus research. Is there greater need today for more close studies of particular movements or for more comparative analysis across and within cases? Which aspects of Islamist political behavior, for instance, are best explained by their distinctive internal organizational or ideological characteristics or by the environment in which they operated? What, if anything, was distinctly Islamist about the response of different Islamist movements across these multiple cases? If Egypt’s Muslim Brotherhood was so rigidly hierarchical, why did its behavior change so erratically during the post-Mubarak years rather than remaining cautiously conservative? Nathan Brown persuasively argues for less attention to “the intentions of the leaders and more to the environment in which they operate.” But the relative importance of political structure and the character of the actors remains an open question for political scientists. Is the Muslim Brotherhood’s ideology and internal organizational structure really not relevant for explaining its approach to governance? Would any other organization faced with a similarly unsettled, polarized, and unpredictably changing institutional environment have responded in the same way? Such questions call out for comparative analysis, both within cases and across cases. How did the Muslim Brotherhood’s response to Egypt’s radically uncertain political environment compare to that of Salafis or of non-Islamists? How did Egypt’s Islamists compare to Islamists, and non-Islamists, in Tunisia or Libya or Yemen? The question of environmental effects involves not only unsettled political institutions but also broad trends at the level of public opinion and public culture. The massive public turn against the Muslim Brotherhood in Egypt over the last year, for instance, seems to challenge prevailing theories of a decades-long, comprehensive Islamization of public space and political discourse. But as Nathan Brown observes, in Egypt today “the movement is suffering not merely from political repression but from social ostracism. The hatred for the Brotherhood expressed by so many in Egyptian public life (and, in my experience, reflected in many private conversations) is overwhelming and likely unprecedented.” Steven Brooke, based on his research on the Brotherhood’s charity work, similarly notes that the “speed and malice with which Egyptians have turned on the Brotherhood … poses problems for the Islamization thesis’s conclusions.” How could decades of the Islamization of society and culture have been so quickly reversed? Some might argue that public life remains deeply Islamicized, despite the setbacks of the Muslim Brotherhood. Is it “not the failure of Islamist groups or the exhaustion of the Islamic frame of reference for political projects, but the increasing proliferation of ways to do and articulate Islamist politics” in Michaelle Browers’s phrasing? Is it “not the disappearance of an Islamist referent but “the pluralization of Islamic socio-political space and the Muslim Brotherhood’s loss of monopoly over the claim to articulate an Islamic social order” as according to Peter Mandaville? But others will find something more fundamental going on with the political turn against Islamism. Either way, this will be a rich terrain for future research. Academics have never demonstrated much interest in the question of whether the Muslim Brotherhood should be seen as “moderate,” since few view “moderate” as a useful analytical category. They are more concerned with identifying accurately the ideological trends, organizational structures, and political strategies of a diverse array of movements. The differences between the Muslim Brotherhood and al Qaeda seem to be so obvious that only a few scholars see the point of even pointing it out. This may be premature, however, with Egypt and several Gulf regimes leading an aggressive public campaign to designate the Muslim Brotherhood as a terrorist organization and to equate the Brotherhood with al Qaeda. Arguments, which seemed to have been settled years ago, are now back, in force. And they come at a time when the actual lines between movements have been blurred by events, as jihadist movements such as Ansar al-Sharia move into social service provision and mainstream movements find their tightly hierarchical organizational structures smashed and their memberships responding in very different ways to new political challenges. If the Muslim Brotherhood did once serve as a firewall against al Qaeda recruitment, will it still do the same after being overthrown by the Egyptian military and its organization viciously repressed? Long-held assumptions about jihadist movements, Thomas Hegghammer notes, now have to be as systematically rethought as do those about all other Islamist trends. For political theorists, too, there are questions about the future of Islamist ideas about democracy and political participation. Joas Wagemakers argues that “the (partial) acceptance of democracy among Islamists, particularly the Muslim Brotherhood, has been a long process that has been influenced mainly by local circumstances and international Islamist discourse and is unlikely to change drastically after, for example, the coup in Egypt. In other words, democratically minded Muslim Brotherhood members are unlikely to dismiss democracy altogether now that their effort to rule Egypt has been thwarted. People who were not too keen on democracy all along, however, will likely feel vindicated. Recent events in Egypt may also sway some Brothers who were always doubtful about democracy’s merits.” Perhaps, but it seems difficult to believe that Islamists who watched the overturning of Mohamed Morsi’s elected government will so easily go back to the polls or be convinced that they will ever be allowed to govern as elected leaders. Can the commitment to procedural democracy, which dominated Muslim Brotherhood discourse for decades, survive Egypt’s coup? Other scholars are even more skeptical. Even if the Brothers were committed to procedural democracy, did their behavior in power prove that this commitment mattered less than their deeper illiberalism? During his recent research trips, Mokhtar Awad found that “for a growing number of Islamist youth the issue is no longer about politics but rather the soul of the Islamist project. They have lost faith not just in democracy, but also in the modern state itself — and in traditional Islamists’ approach to changing it (both the Brotherhood and non-violent Salafis).” Roel Meijer now believes that “we have been far too optimistic about the changes within the Brotherhood. Although the Brotherhood may have accepted terms such as citizenship and civil state, and even the people’s sovereignty, and the ‘will of the people’ (iradat al-shaab), it is clear that the Brotherhood did not accept politics and the political.” And for Tarek Masoud, “the brief experience of Islamism in power has given us precious little reason to revise the view of Islamists as fundamentally illiberal. Though the Muslim Brotherhood and its allies spoke often of individual freedom, the reality was that their vision of individual freedom proved to be one that was heavily bounded.” How will Islamist ideas now evolve after the experience of recent years? These POMEPS memos set forth a challenging and provocative set of research questions, with which the field has only begun to engage. We hope that they stimulate further discussion, debate, research, and serious, methodologically rigorous and empirically informed scholarly engagement with these vitally important issues.